A few weeks ago, reports surfaced that Sara Ali Khan has signed her third project after Kedarnath and Simmba, and that it would be alongside her father. The movie was rumoured to be Jawaani Jaaneman. But soon the rumours were set to rest when it was announced by the makers that Jawaani Jaaneman would be going on floors with Saif and Aalia Furniturewalla, working as her launch pad. Finally, we hear it from the horse's mouth as to why this casting choice was made. Saif hints, in his latest interview, that Sara was indeed considered for the role. Déjà vu! Ibrahim Khan is Totally Reminding Us of Saif Ali Khan's Sameer From 'Dil Chahta Hai'! View Pics. As per reports, Saif said, "I would have loved to have Sara in Jawaani Jaaneman but that would have meant her choosing this film over everything else she's doing because we wanted it to be the first film of the person we decided to cast," Aalia Furniturewalla's Latest Photoshoot is All Things 'Glam and Fam' - View Pics. The actor further added, "I feel Sara's career graph and the trajectory is in a good place and in a way I'm happy it's separate from mine at the moment. We are very excited to launch Aalia with this film and she is perfect for the part,"
Jawaani Jaaneman sounds like a very interesting project. The actor reveals that it is a coming of age film, set around a father-daughter story. He plays the role of a 50-year-old father. 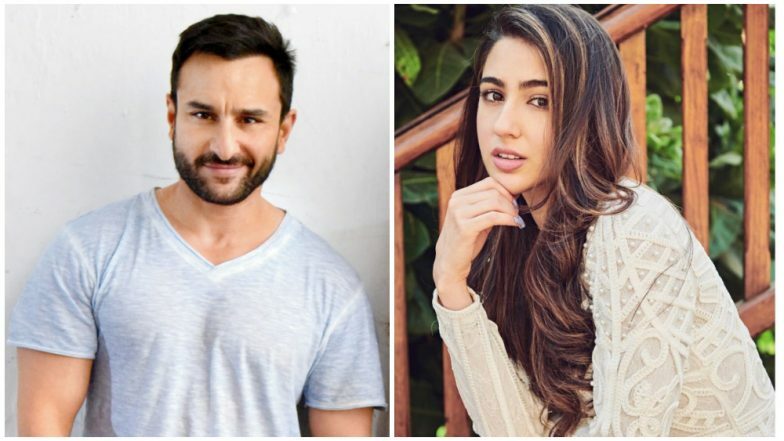 Saif, who is also co-producing the film, said, "Jawaani Jaaneman is a modern slice of life movie that people will connect to on so many levels." On the work front, Saif has some very interesting projects to look forward to. Of course, he has Jawaani Jaaneman. The actor will be seen reprising his role in the season 2 of Sacred Games, this year. He will also be playing an important role in Ajay Devgn's Taanaji: The Unsung Warrior, for which he is shooting currently. He also has Hunter in the pipeline in which he plays the role of a sadhu, as per reports. It has also been reported that the actor will be seen in Anurag Basu's next anthology film and Aankhein's sequel.